The UK property market has unwaveringly held onto its place as a leading destination for investment, even in the face of significant economic and political turbulences stemming back a decade. In the past ten years alone, the real estate market has weathered the storm of the 2008 financial crisis, three general elections and the 2016 EU referendum. And while fears of a property downturn were rife amidst Brexit uncertainty, house prices have in fact continued to climb across the country. Data from the Office for National Statistics shows that since 2008, the average UK house price has risen from £157,000 to £220,000 last year. Fortunately, for those looking to invest in property in coming months there’s no denying that the sector still presents a plethora of opportunities. For one, the Government has made strong commitments to step up nationwide house-building efforts in order to meet demand, while there’s been a hive of construction activity in regional hotspots like the Midlands and across the North. Importantly, people keen to invest in bricks and mortar should not just consider when and where to purchase based on the latest trends; they must also assess what type of property investment is best aligned to their long-term plans – is it an off-plan property, a new-build flat, a semi-commercial premises or perhaps a house in need of refurbishment. For many investors, off-plan property investment remains a largely unexplored option, despite buy-to-let investors and landlords standing to make potentially strong returns from this market. So, with that in mind, what are the key advantages of buying off-plan, and what are some of the most common pitfalls to avoid? Buying off-plan could be a lucrative option, particularly for those in search of avenues that can offer long-term capital growth and strong returns on their initial outlay. In essence, this route involves committing to a purchase before the property is completed – or even before works have started – based on initial plans and blueprints. While a previously unconventional option, off-plan investment properties are drawing interest from domestic and international investors looking for routes into the property market that offer greater potential for growth. Buyers willing to commit to a property in the early stages of development will often be provided a significant discount by the developer. In some cases, investors could save as much as 25% on the upfront cost of the property. Meanwhile, investors will stand to benefit from the capital growth of the asset – if the off-plan investment property is located in a market that is experiencing rising house prices, then by the time the development is complete the value of the asset will have increased in line with price inflation. The potential for strong returns on the initial outlay here is clearly high. Naturally, however, before committing to an investment there are a number of important questions to ask. 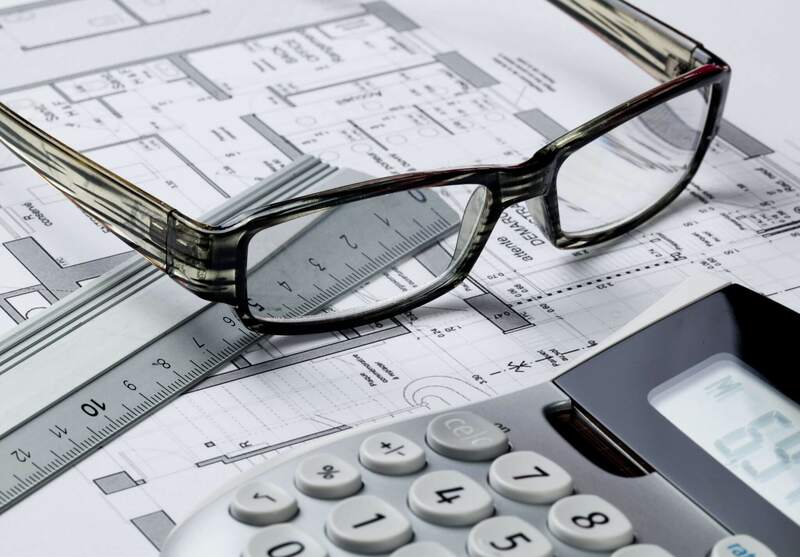 When considering the off-plan investment route in particular, there are a number of key factors investors need to keep in mind. Maximising your off-plan purchase invariably begins with finding the right location to buy in. This becomes even more pertinent when you’re unable to view the completed property before you invest – buying off-plan means that the characteristics of the location become crucial for securing a promising investment opportunity. Carefully considering the strength and sustainability of rental demand in an area is an important consideration. Property portals like Zoopla and Rightmove are a good place to start, allowing prospective buyers to monitor price trends in particular locations and pinpoint key regions that are likely to undergo significant price growth. Recently, regional markets like Liverpool and Luton have witnessed a surge in popularity among those seeking out property investment opportunities. For buy-to-let investors, for example, it has become increasingly common to explore regions outside of London, which can offer higher levels of capital growth and healthier rental yields. Indeed, as a result of the uncertainty surrounding Brexit, house price growth in the capital has stagnated and many predict 2019 will be a time of readjustment for the city’s real estate market. In contrast, notable student cities in particular look set to be a top destination for investors due to their strong year-on-year rental growth prospects. Indeed, the UK’s Purpose Build Student Accommodation (PBSA) sector is predicted to reach a total combined value of over £53 billion by the end of this year – up approximately £3 billion from 2018. Tracking industry trends like this are essential when buying off-plan; investors must be confident in the long-term prospects of the regional market, ensuring they are buying a property that, once complete, will be located within a popular destination for renters or buyers. There are other challenges beyond choosing the right location and property type, though. In particular, predicting what the quality of the finished product is likely to be. Committing to a property that hasn’t been completed yet naturally comes with its own risks, and investors will be looking for reassurances that the building will be completed to a high standard. Looking to developments that are covered by a warranty – such as the NHBC Buildmark – can give buyers some peace of mind, ensuring protections are in place to mitigate problems arising with building quality post-completion. This particular 10-year warranty scheme offers protection for newly built or converted homes, starting from the initial exchange of contracts. And most importantly, if problems arise as a result of the builder failing to meet certain standards, the cost of any remedial work will be covered. Ensuring you work with a reliable developer with a proven track record is a cornerstone of a successful off-plan purchase. But how do you find a developer that is able to deliver a property to high standards and within the given time scale? The first step is to look at their previous projects. An established off-plan property developer should have a portfolio of past works that prospective buyers can look at and get a good understanding of what the finished product will look like. Doing your due diligence is important here. Even visiting previous builds or projects that are currently under construction are effective ways of determining whether to move forward with a developer and a particular new-build opportunity. There are many things to consider when deciding if an off-plan property investment is the right option for you. Taking the time to do research on regional markets that are projected to experience strong growth in the near future, as well as undertaking due diligence on reliable developers to ensure they can deliver on the vision, are two key factors underpinning a successful investment. Luckily, strong growth in regional markets and demand for housing across the country are fuelling demand for property and opening up new opportunities for investors. And with a strong impetus from the Government to speed up house-building, 2019 is set to be an exciting year for those looking to invest off-plan.